In the introduction, Powell tell us he was inspired to write this book when a friend, discussing the fact that the vast majority of scientists accept that the activities of man are contributing to global warming, remarked that scientists have been wrong before. Accepting the undeniable truth of that, Powell decided to look at the recent history of four important theories in earth sciences, showing that though scientists may have been wrong at first, they “eventually came to be right”. The history of the four discoveries confirms the cardinal virtue of science: it is self-correcting. Scientists pushing the boundaries of knowledge are often wrong, but they do not stay wrong. Considering the fair amount of depth Powell goes into on each of his subjects, the book is surprisingly accessible to the non-scientists among us. I found I only got lost occasionally and, when reading books like this, I accept that there are things that are too complex to simplify down to my level! In each section Powell starts at a point before the theory he is discussing was developed, explaining the existing state of knowledge and supposition. He then introduces us to the scientists who contributed to the development of the new theory, along with those who opposed it, and finally to those who ‘proved’ it. He provides little anecdotes of their lives, or their friendships or quarrels with each other, which prevent the book from becoming too dry a read. The discoveries from astronomy and earth science expose the infinitesimal standing of the human race in time and space. They force us to admit that we are the products of, and the potential victims of, random events. Do they really? I would imagine that the billions of people who believe in some form of God might not feel forced to admit that. Indeed, Powell himself points out in the course of the book that even many scientists are willing to admit that science and religion can co-exist. But this is just one example – there were several occasions when I felt he expressed himself more forcefully than the evidence justified, or substituted opinion for fact. 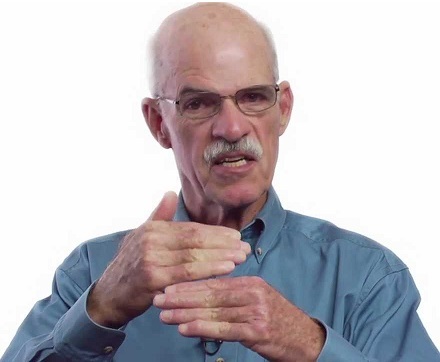 Powell shows how the assumed age of the Earth has changed over the last century or so, as scientists made discoveries – such as evolution – that negated the previous assumptions. As he does in each section, he highlights the scientists involved, including those who fought strongly to retain their existing position even when the evidence became overwhelming. He also points out that, in the end, it was physicists rather than geologists who made the most important discovery – how to determine the age of rocks through developing ways to measure radioactive decay. My verdict: Not proven – an old Scottish verdict which means basically ‘I believe it, but I don’t think you’ve really proved it’. I admit the main reason for this verdict is that the stuff about radioactive decay went largely over my head – but it seemed to me that, as Powell described it, there were still too many assumptions involved for this to be a theory incapable of being overturned by further future discoveries. In 1911, Alfred Wegener noticed that the east coast of South America was a great fit for the west coast of Africa, and speculated that they had once been joined. 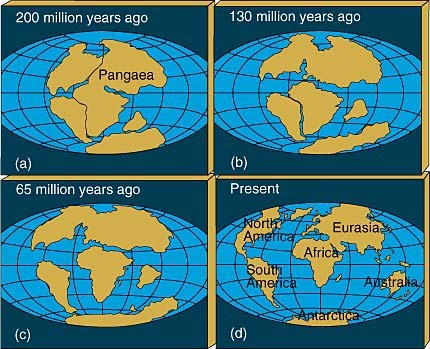 The then greats of the scientific world largely dismissed this idea, even when the fossil records between the two coasts showed a remarkable similarity. Powell takes us through all the experimentation that gradually proved the truth of the theory, as geologists speculated that continental drift and plate tectonics were the likely cause of mountain formation and of the mid-Atlantic ridge. My verdict: Proven. With GPS, scientists have now been able to measure the rate of drift – that’s the kind of proof I like! 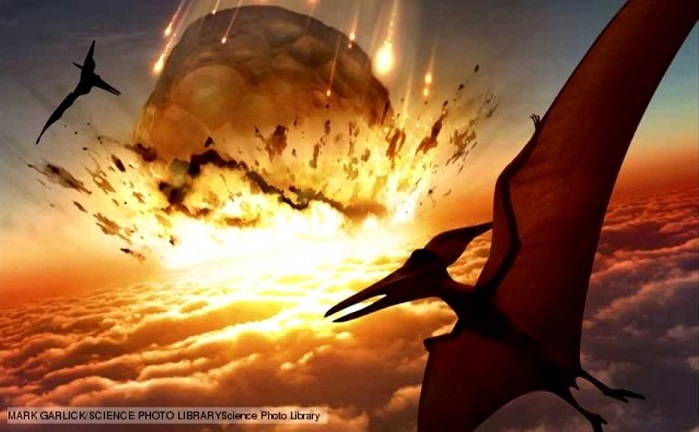 While discussing the theory that meteorites have impacted the Earth, on occasion with catastrophic results, I felt Powell got himself a bit side-tracked into both the extinction of the dinosaurs and the impact theory for the creation of the Moon. So this is the crucial one – Powell’s starting and finishing point. Although he refers to it as Global Warming, in fact the crux of his argument is proving that it’s caused in large part by man’s actions. Again this one got a bit ‘sciency’ for me, but for the most part I was able to follow the arguments. My verdict: Proven. It seems to me the weight of measurable evidence – such as from atmospheric measurements over time showing the rapid rise in concentration of carbon dioxide to be almost exactly parallel with the increase in emissions – makes this one as close to proven as it’s likely to be. And given the potential impact, I’d rather err on the side of caution anyway. But, although Powell’s position is that this one is beyond doubt, he also makes it clear that estimates of the likely impact are still subject to debate. Personally, I feel we’re probably safest to assume a worst-case scenario and act accordingly…and on that final note, I think Powell and I finally reached agreement. An interesting book, despite Powell’s occasional forays beyond the evidence, and one I would recommend to anyone who is still in doubt as to the reality of man’s impact on the environment. NB This book was provided for review by the publisher, Columbia University Press. I’m glad you thought this was, in the main, well done, FictionFan. It is interesting to see how sometimes, scientists (and actually a lot of people, not just scientists) fall into the trap of believing themselves too much, if I can put it that way. One of the scholarly dispositions I’ve always liked is ‘Prize the Doubt.’ As you can guess, it means that you always have to be open to being wrong – even about your own beliefs. It’s not enough to disprove others’ work; you have to be willing to disprove your own. Not easy! Yes, it would be, especially if there were people in the group who had doubts about climate change. You’ve finished with this book already?! Wow! Now, the author, I think, is yelling at me. You posted that picture on purpose. You’re not fair! You know, I’m not sure there is global warming around my house. It’s been one of the coldest winters for my house–ever! Could you send some global warming this way? I think I took that picture. I used to glide with the dinos. Oh, I felt it took me ages to read it too! I thought it was me he was yelling at – especially for not believing him about the dinosaurs! He struck me as the type who wouldn’t gladly suffer dissent…especially from a non-scientist! I would, if I could defrost the car and get through the snow to the post office. *gulp* I’m exciting about getting Dune, btw! *laughs* Have you gone sledding yet? I lose all of the pics. On the beach. I’m sorry. Are you? Hurrah! I’ve been dead slow with it, because I was foolishly reading three huge books simultaneously, but I should get into it properly over the weekend. Sure am! I couldn’t imagine juggling all the reading that you do! You’re a hero. Is FEF a star or a dino? It’s nice and sunny here in LA…nice temps, too. I left the snow in PA. Typical? It was not typical! A tidal wave did it. Can’t I please be both? I stand amazed. And concerned. *laughs* An impossibility! But you could be a potato and a dino. Since they rhyme. I sure was! Now back to snow. Time to wear the beanie. There’s no point in going on denying it. You’re right – I am a potato! What gave me away? Yes, I’ve been hearing on the news that you’re about to be hit by a huge blizzard tonight apparently – stay safe and warm! Hot chocolate…that’s the thing! Please do! I’m intrigued already. *laughing too much* Umm…the color! Brown. I know! *looks out window as the snow continues to fall* Truth be told, I love it. Better than LA’s weather. The professor is a horrid little Pitt boy through and through. I think that’s nice. I love our weather too – even the rain! It can’t be that heavy! *laughing lots* Look here, FEF, you’re not a potato. Promise many promises. *nods* That’s the spirit! We have more rain here, too, than sun. If any one deep fries you, I’ll kill them, and scalp them alive! Nice. Hope you get a few inches. Or meters. Whatever you call it in there. About 3 inches, but it’s already beginning to thaw I think. I’m toying with going out and building a snowman. *laughs* It’s such a bloody task, I warn you. But it will make everyone think twice about frying you. Nice! Definitely do! And take a picture, please. I’ve quit trying to build one long ago. It will! And that’s a good thing! Well at least they tried! It sounds like a very interesting book. I should point out that science isn’t in the business of providing proof of things — that’s what math does. What science does, rather, is demonstrate likelihoods; in some cases those likelihoods are beyond all reasonable doubt, such as deep time, continental drift, man-induced climate change and the meteorite/comet impact theory of the extinction of the dinosaurs. It is possible, but extraordinary unlikely, that science has those wrong, just as it’s possible that a pig might fly. 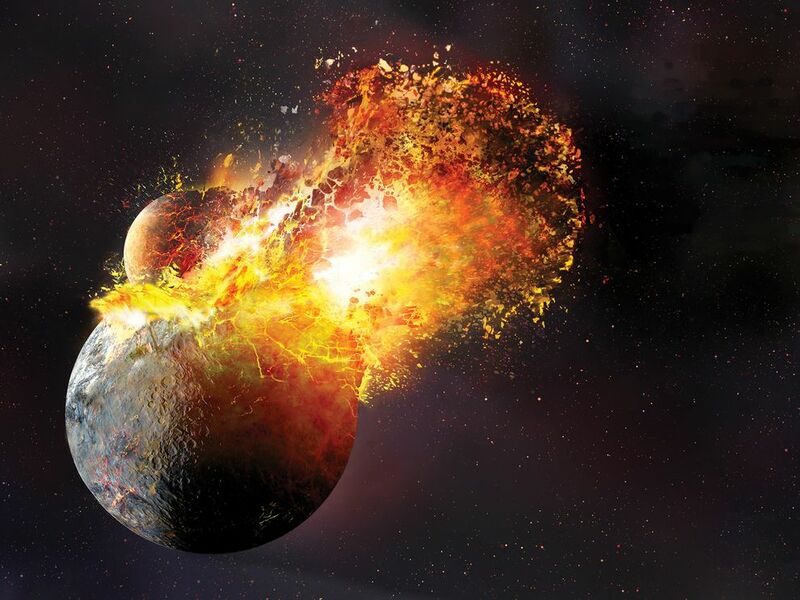 As Powell correctly (if I read your summary right) points out, the impact hypothesis for the origin of the moon is very likely correct, but it’s not quite so solid as the others. It is interesting – and thought-provoking. It was more his style and language I argued with, rather than the science. His main argument, which I agree with, is that until something is ‘proved’ scientists must be prepared to at least consider new theories, and that scientists in the past tended to state and defend their theories as truth, and even on occasion manipulate the evidence to do so. Because he then went too far, in my opinion, in stating the ‘truth’ of some of today’s theories, (going beyond the ‘highly unlikely to be wrong’ to the absolutely, definitely right) he seemed to be falling into the very trap he was criticising, and oddly had the opposite effect of what he was intending – on me, at least. And his occasional tossing in of a dogmatic opinion that had little to do with the point, just emphasised that he is as open to being closed-minded as many of the scientists he criticised. That is pretty much the case with science. You can point out the pros and cons, but unless you’ve seen it is pretty much a case of not enough proven. (I only came across that watching The Escape Artist where the criminal was pretty well known to be guilty, but was unproved and so went free to kill again. Frustrating that was. But I digress. . Some of them do. But some of them can be so tetchy about people who ask questions. To be honest, I find exactly the opposite — and I spend a fair amount of time asking questions of scientists. Where they do sometimes get tetchy is if you ask them a “skeptical” question that’s been asked a million times before and satisfactorily answered years ago; they feel, not unnaturally, that out of simple respect the questioner might do a modicum of research before coming out, yet again, with a hoary old chestnut. A lot of biologists get fed up being asked creationist “talking points” that were debunked decades ago, for example. The climate scientists are, so far, being astonishingly patient when they receive similar treatment: they’ve even set up at least one site (I forget its name offhand) where, if you want to ask a question, you can send an email and promptly receive a reply from, often, a world-ranking climatologist. My overall experience is that most scientists are falling over themselves to explain their subject and to help people understand what they’re doing. You may have come across some who aren’t, but then ain’t that always the case? I’d be interested if you could offer some examples of scientists being tetchy in response to your questions! Scientists generally get tetchy with my questions because they don’t comprehend why someone who is obviously intelligent (she said, modestly) can’t understand simple things like the Theory of Relativity. I, on the other hand, frequently can’t understand why people don’t comprehend the importance of the Wimbledon Championships, or Jane Austen. Joking aside, I agree that scientists generally want to explain, but many of them expect non-scientists to blindly accept what they say. All I ask of a popular science book is that the author removes the ‘blindly’ bit in the way s/he lays out his/her evidence. Some do, some don’t. That’s what I’m reviewing – the success of the author in achieving his/her intention to persuade. As far as science goes, I’m very open to persuasion, but not to being told what to think without being told why to think it. Powell achieved that most of the time, but veered over the line occasionally. I suppose building an enormous particle accelerator like the one at CERN was a none-starter for American politicians when they had the opportunity to fund an even larger facility in the United States. I’m not sure how a scientist goes about convincing a layman that he needs $13.25 billion to look for a particle he cannot see, may not exist and might not have any relevance to our future before we all choke to death on our own planetary detritus… and the project doesn’t even provide an instant list of measurable and guaranteed benefits to our daily lives. But European nations were willing to scrape together the money, construct the Large Hadron Collider and virtually overnight (well, 20 years) become the commanding leader in scientific discovery and innovation. The ESA’s recent and incredible accomplishment of landing a science lab on a comet hurtling through deep space at 135,000 KPH only reinforced that fact -and at the very moment NASA was being virtually shuttered by Congress. Perhaps we shouldn’t have to be persuaded by scientists. Perhaps the rest of us just aren’t that smart and the chasm between scientists and non-scientists has only widened in our technology-driven World. Just perhaps, the rest of us should except Science on faith since our best and brightest except nothing on faith – only through testing, more testing and broad consensus. Perhaps we should let the wizards work their “black magic” rather than locking them in towers, burning them at the stake or defunding them with the stroke of a pen. Who knows, if we unhinge the tower doors we may just live long enough as a species to continue to reap new and greater benefits… and still not have a clue why. Well, while science does interest me and even on occasion inspires me, I’m afraid I don’t agree that scientists are necessarily more intelligent than people in other fields at equivalent levels. And I most certainly don’t believe they have any claim to higher morals or ethics than the rest of us. So on the whole, no – I don’t think I’m ready to let them rule the world. Perhaps CERN was exciting (it was) but it didn’t do much for the grinding poverty that exists in the world. And ditto to landing on the comet. I’d rather muddle on with no special interest group having a monopoly on decision-making. But if scientists can actually come up with a workable plan to save the world, and develop the necessary communication skills to win people over rather than alienating them with arrogance, I’ll be thrilled. Thanks for popping in – just to clarify, this is a book review blog, not a public discussion forum. Any comments you have on the books or reviews will always be welcome. But I prefer to steer clear of political or other contentious debate here – there are plenty of other places where people can air their views. First, my apologies. I’m sure you can understand why I assumed I was on topic since pretty much everyone other than realthog (who, by the way, has a tremendous grasp on the subject for an expressed layman) has been making negative and/or questioning comments about Science, itself. Maybe everyone has been drifting to some degree from your intended focus of discussion and your request to me will jar them back on topic, too, in which case, perhaps I’ve been of some inadvertent assistance and won’t feel as bad for interrupting. Please allow me to part with one brief comment in response to your kindly-worded request and I would be grateful for your consideration to post it for everyone’s eyes. CERN is not a past tense endeavor as your response to my previous post suggests. The thousands of scientists and engineers who comprise the international team have barely scratched the surface of exploration. Additionally, the potential benefits to mankind when entering uncharted regions of our existence are unknown but surely await us. Just attaining the ability to rise above and beyond our planet’s atmosphere has rewarded mankind with everything from GPS technology to vascular bypass surgery, from cochlear implants to LED TVs, from safer radial tires to enriched baby foods. New vistas, like CERN, have always proved to be critically important in the creation of short and long-term benefits to mankind; and CERN will be no different. Not unlike walking into a newly discovered and darkened chamber filled with never before seen wonders, a light must shine. CERN is just now turning on that light and that breathtaking process of discovery should be celebrated by scientists and layman, alike. You are of course right that CERN is a continuing project – thanks for correcting that. Looking at the comments, I do see what you mean about the apparent negativity. However I think it’s directed more at the attitude of scientists rather than the achievements of science on the whole. But really, it’s because I review books of all kinds, so many of my ‘regular’ commenters may have little interest in science books at all. I’m grateful to them therefore for being willing to indulge my eclectic tastes and take the time to read and comment on reviews even when the subject doesn’t particularly inspire them. I’m sorry you may have got the impression that I’m negative about science myself. As a laywoman, I don’t pretend to review the science – I review popular science books primarily to assess their readability and comprehensibility to fellow non-scientists. The fact that in this case Powell didn’t always convince me of his case doesn’t mean that I think the science is necessarily at fault – it’s a comment on the book, not the science. In general, I find science inspirational, as some of my more positive reviews would show – not that this review is a negative one. As a non-scientist, the thing that is most likely to put me off is the attitude of some scientists that they are superior to the rest of us mere mortals and that we should remain silent and admire from afar. I’m delighted with the surge of popular science books written by people with a genuine desire to help the layman understand the current state of play. That doesn’t mean I’ll accept anything that the books say without question or comment. I would be sorry to think I had put you off visiting and commenting – it was unfortunate that this thread had veered towards the confrontational before you arrived – an exceptional occurence on this blog, where I generally hope all commenters are made to feel welcome and comfortable enough to express themselves as they see fit, even about subjects on which they don’t profess to be experts. And those of us who can see daylight through their pet theories get short shrift. (a) When was the last time you read a science book? (b) How would you feel if a Chinese-speaker or a Russian-speaker or a Yoruba-speaker criticized your use of English? Having answered both of those questions, could you please explain your qualifications to “see daylight through their pet theories”? I’m sorry, realthog, this isn’t that kind of blog. Generally we all mess about in the comments. I don’t review books so we can argue over our beliefs. People of all views, or none, are welcome here. But what isn’t welcome is one commenter taking up the throwaway comments of another in such a confrontational way. I’m sorry if that doesn’t work for you, but I’m afraid it works for me. Chit-chat welcome, arguing not. No-one needs to explain their qualifications here – to anyone. This looks very interesting, I do love a book that challenges my views and invites me to argue with the author. I have been arguing with everyone today *sigh* and I haven’t had any cake. Not strange at all – very acceptable behaviour, I should say. Science is so very interesting but I can only properly understand it up to a certain point. But I enjoy trying and I learn a bit more every time. And now today I have learned that cake is calorie-free when used in science! Bring on the science! Huh – tell that to Terry when he develops his condescending look! I love the type of science book that explains things in layman terms – they’re getting better at that, I’m glad to say. Just had a jam doughnut – I wonder if that would be calorie free if I’d been travelling at the speed of light at the time? Jam is made from fruit therefore one of your five-a-day and therefore the calories don’t really count! They certainly do… eat up and ward off all manner of ills! How could anyone argue against the dinosaur extinction theory with that lovely photo of the moment of impact you have here? I think it’s quite humorous that the man actually de-convinced you of several “proven” scientific theories, despite his best efforts. Poor man. I’m glad I don’t feel pressed to go out and snag this one for a read. Next! Exactly! He could just have shown that picture, and missed out the entire chapter! Kudos, respeck sis! I do think, as well as you do review fiction, that you review factual books exceptionally finely. Maybe it’s that, with fiction, there is so much which MUST be left out to avoid spoilers, whereas with factual books a detailed explanation of the arguments for and against the book, and laying out of the major themes, arguments and conclusions is not only possible, but in fact necessary. And it saves the rest of us from reading the book if we don’t feel quite as mentally fit, and up to speed with our long distance marathon on difficult terrain reading skills! I think Jilanne and i are going to retire to a hostelry with a glass of bubbly stuff, and some delectable little nibbles, and toast you, admiringly. That’s not fair! I’m coming too…!!! Haha! Or maybe he’s doing an Eddi Reader impersonation… he looks the type who’d sing Burns lovesongs to relax, doesn’t he? Well this isn’t a book I’d ever pick up but I did like what you had to say about the author and his theories, I like being told things that I can argue with, even if it is just in my head and it does seem like this includes a good choice of theories to look at in respect of how ideas have changed over time. I’m particularly fond of the asteroid wiping out the dinosaurs so he’d probably have convinced me on that one.. Great review as ever! This is the sort of book that would take me forever to get through…I enjoy science and maths, as long as it’s explained in layman’s terms, and recently studied a Maths Higher, despite being convinced by my performance in school that I could never even get to that stage. The one thing it has in it’s favour is that an answer is either right or wrong – there’s no subjectivity to it. I don’t think I’d be capable of venturing any further though – sometimes just thinking about these things makes my head hurt…! Great review though. Love your esoteric choice of reading matter. Sounds like a heavy read – respect !! 🙂 Personally I always found the meteorite theory to be the most believable cause. Also I read the drift theory only recently – drift as a concept is definitely true but the only problem in Wegener’s theory was that he didn’t give a convincing cause for why drift happens. He also made some self-contradictory observations – does the book mention that ? Yes, I like the meteor theory too, but I felt he overstated the certainty of it a bit. Highly likely, but not certain, would be my judgement based purely on the info he gave us.